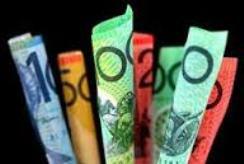 Hocking Stuart's Cash Membership Draw is held every Friday at the club at 6.15pm. Be there to have a chance at picking up the cash, which jackpots to the next week if not won. You must be present at the club to win. Surfcoast Quality Meats Torquay also sponsors our meat raffle, with 5 draws giving you a good chance of winning a meat tray. Congratulations to member Bjarne Hansen who was at the club last Friday 14th November 2014 and won the member's draw jackpot of $150. Col Orr was the happy winner of $400 in the club members' draw last Friday 24/10/14.